The petitions of two of the three incumbent alderman – 28th Ward Ald. Jason Ervin and 37th Ward Ald. Emma Mitts – have not been challenged. But each of the challengers in both of those wards are having to defend the signatures they collected to secure a spot on the Feb. 26th ballot. They’re seeking signatures from those living in Austin’s 42nd precinct so that voters can vote on the measure in 2017. 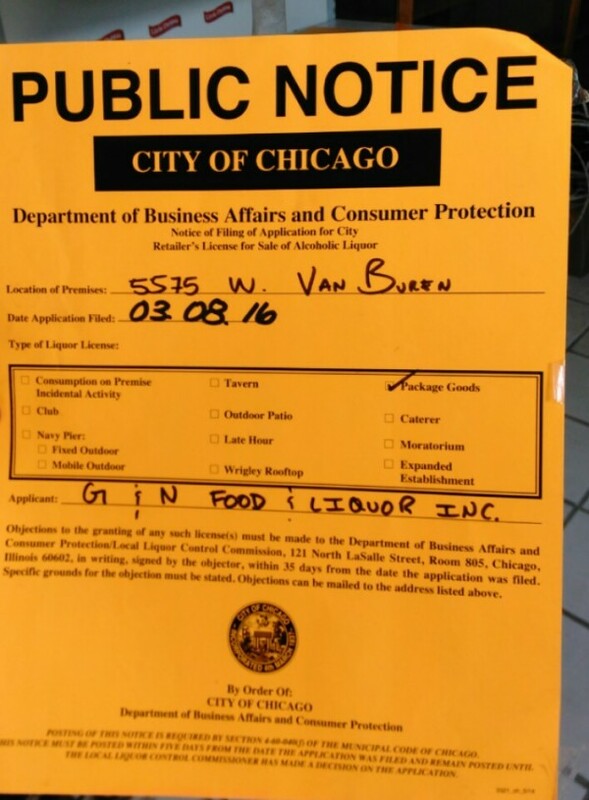 But that will likely be too late to stop G & N Food and Liquor from opening in the 5500 block of West Van Buren. Friends, relatives and others working to free Howard Morgan hope Pat Quinn will act before he leaves office Jan. 12. The group is sending petitions to Washington, D.C., asking for greater resources to fund education, mentoring programs and provide economic alternatives to crime for young people in the community. Community advocate Valerie Leonard is urging residents to sign the petition for it to appear on President Barack Obama’s “We the People” website. A 9:30 a.m. Aug. 28 breakfast meeting followed by an 11 a.m. press conference is planned at The New Mount Pilgrim Baptist Church, where families of victims will support and speak for the coalition’s call to reinstate the assault weapons ban and the passage of gun legislation under HB 5831. In response to recent acts of violence across the city and nationwide, Chicago faith leaders met this week to discuss ways to prevent it and their plan for a petition drive next month. See what AustinTalks’ cartoonist thinks of a plan to close three of the West Side’s post offices and find out how you speak out against the closings. Upset about several teachers being let go, more than 100 students walked out of classes earlier this week, according to the Chicago News Cooperative.